HOLMES – Corinna Iorizzo, 97, an area resident since 1959, died peacefully on April 3, 2019, at Putnam Ridge Nursing Center surrounded by her loving family. Born in Coppito, Abruzzo, Italy on Sept. 5, 1921, she was the daughter of Giulio and Apollonia (Lisi) Tribuzi. Corinna was raised in Tuckahoe and graduated from Eastchester High School. She had worked as a bookkeeper for both the Chrysler Corporation and Abercrombie and Fitch. She retired after several years as an LPN at Putnam Hospital Center in Carmel. An avid gardener, she also enjoyed oil painting and knitting. She received great joy in giving away what she made. Corinna was predeceased by her husband, Jerome J. Iorizzo, on May 16, 2012; her brother, Albert Tribuzi; and her sister, Jean Jordan. 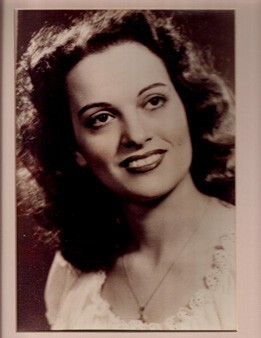 She is survived by her children and their spouses, Gerald and Judy Iorizzo, Lisa and Gary Lyon, Gregory and Arlene Iorizzo, Gina Iorizzo, and Marc and Cindy Iorizzo; her grandchildren, Bradley Lyon, Daniel Lyon, Rachael Lyon, and Gina Lorraine Iorizzo; and her great-grandson, Thomas Newkirk III.